You take up your own designated space in the server and perform your duties within that confined space. Want2Host is a popular shared hosting platform and they provide a training series as well. ◈ Prefer to start small since shared hosting services are the cheapest type of web hosting service you can see in the market today. ◈ Does not give you control on what you can run (what operating system) on your server. ◈ Your site MAY suffer the consequences of sharing the resources with other customers and may lead to performance issues. ◈ May not give you the most dependable and stable server performance since it is dependent on so many transactions within the server. 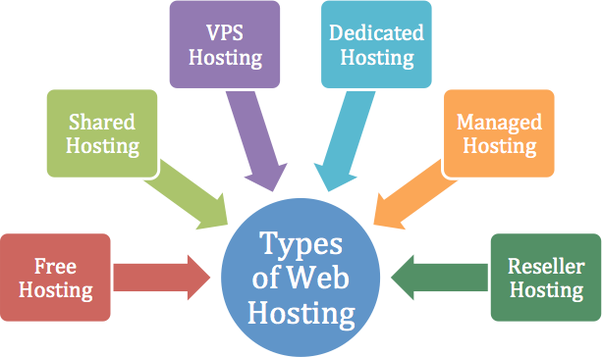 This type of web hosting, as the name suggests, means that you are NOT sharing the server with any other customer. You have that machine to your own disposal. You are the lone occupant. Think of it as a free standing house in a village. You have the freedom to install whatever you want and you can access the root of the server. ◈ Prefer being in 100% control of the content and the applications within the server. ◈ Know how to set up, maintain and develop additional applications in your server, for example, a load balancer. ◈ Do not want to compromise the performance of the site by sharing it with multiple other sites. ◈ Expensive! Since you are occupying and maintaining the server on your own, there’s no one else to split the maintenance cost with. Think of spending around $200 per month for this type of hosting package. ◈ High maintenance especially for those getting the unmanaged type of hosting machines. ◈ Can be sensitive to security issues since your data is constantly moving from one server to the other. ◈ May not give you as much control as you want in a dedicated server set up since you have to consider the minimum requirement across all servers sharing the load. ◈ Can be high maintenance and requires well-trained staff to maintain the set up.